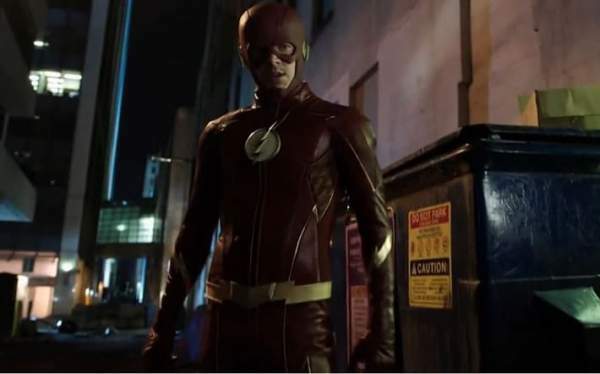 The Flash Season 3 Episode 19 Spoilers, Air Date, Promo: The fans will see Barry Allen going in the future, precisely on May 24, 2024, in The Flash 3×19 as he has enough of Savitar to take risk and travel to the future. As the trailer reveals, the scarlet speedster finds the future more frozen that what he had expected. The Flash S3E19 promo shows: Iris is dead and their place is a complete chaos. Wally West is in the wheelchair as he got injured in a fight with the Savitar. Caitlin Snow is at large as the Killer Frost. Both of them appeared to be hesitant to reveal Savitar’s true identity when the present Barry asked them. Barry also came across his future self who is still disturbed by Iris’s death. To a surprise, the two Barrys get into a little argument after Barry asked the future Barry to reveal the Savitar’s identity. Barry also met with future mirror master a.k.a. Sam Scudder in the trailer. Check: Game of Thrones Season 7 Trailer. Damon and Ashley Rickards were seen shooting for an episode in trashed alley in downtown Vancouver. Director Gustin and Tom Cavanagh were also spotted outside. According to reports, the scene was about mirror master and his girlfriend Rosa Dillon kicking Barry while he was on the ground lying helplessly. In an interview, Gustin said that this time travel of Barry is not same as all that had done before. This time, he is doing a time travel for a compelling part of the episode to get some clues about how Savitar killed Iris so that he could come back in the past and stop it. Barry will learn some secrets about the Savitar which may eventually help him in changing the future. But, we don’t see it happening until the season’s finale. We are going to see a new Flash suit. It’s more fancy and better as in he has got an upgrade. So far, he has got an emblem change only. The last episode of The Flash gave some hope to BarryAllen as Abra Kadabra was willing to tell him who the Savitar is, but in the end, it turned out that he was just mocking Barry’s pain. Thus, he decided to go into the future even when Jay Garrick told him specifically not to do it. Let’s see what will be the consequences? The synopsis is available below. Barry (Grant Gustin) travels to the future to find out Savitar’s still unknown identity in the hopes of saving Iris (Candice Patton). Upon his arrival in 2024, Barry encounters future versions of his Team Flash friends, who, following the death of Iris, have become very different people, profoundly impacted by their showdown with Savitar. It will be up to Barry to infuse a sense of hope back into the team, as he proves to be hero his future friends have been waiting for. Meanwhile, back in 2017, the hunt for Killer Frost (Danielle Panabaker) continues. Cisco told Julian that Caitlin didn’t want to live life becoming her alter-ego at any cost and she would have chosen death over Killer Frost. But, Julian wanted to believe that Caitlin could embrace her dark powers even without her pendant. The Flash Season 3 episode 19 titled as “The Once and Future Flash” will air on Tuesday, April 25, 2017, at 8 p.m. EST on the CW. Next articleApple iPhone 8 Release Date, Specs, Price: Ditches Home Button; Arrives In September 2017? So NOONE realised that someone with red lightning knocked barry down and continued running in the new episode 19 promo ? Any ideas on who that could be ? Maybe savitar before he got his powers in the future ?